I’m starting to warm once again to gold. Like many of you, I never gave up on it, I had just grown too bored to care. With the bear market in bullion about to enter its fourth year, who could be blamed for losing interest? Gold has looked so punk for so long that every time it rallies sharply, I get that nagging feeling, as you probably do, that we’re about to get sandbagged for the umpteenth time. So why the change of heart? All credit to Richard ‘Doc’ Postma, a friend and regular guest panelist with me on interviews with the (Al ) Korelin Economic Report. Doc, a physician by training, is also an astute investor and market timer. A patient sort as well, he is that rare bird who can watch and wait for months or even years while exceptional opportunities slowly take shape. I hasten to add that on more than one occasion, he has been a crucial step ahead of me in calling some important price swings in gold. Naturally, that got my attention. 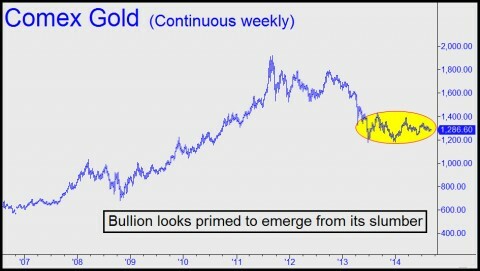 He now thinks gold and silver are about to take off – as soon as late September or early October. The very idea of it caused me to look with fresh eyes at my charts for corroborating signs. The inescapable conclusion is that Doc is onto something. The evidence is there for anyone who cares to look. For one, bullion continues to hit marginal new lows, but without breaking down. Rallies have been fleeting, followed by slumps that continue to wear down even gold’s most loyal followers. Most telling of all, mining shares have shown increasing reluctance to give ground on days when demand for physical is weak. This post was published at Rick Ackerman BY RICK ACKERMAN ON SEPTEMBER 2, 2014. And for tonight’s menu of disastrous Japanese economic data, we have (drum roll please)… Auto sales. Overall auto sales fell 9.1% YoY to 333,471 – the lowest in 3 years. Minicars dropped a stunning 15.1% YoY according to the Japanese auto dealers association. The response – rather obvious by now – to this terrible news… a 35 pip vertial ramp in USDJPY which can mean only one thing – the Nikkei 225 rallied 150 points… On a side note, following disappointing PMIs, China fixed the Yuan at 4-month lows. 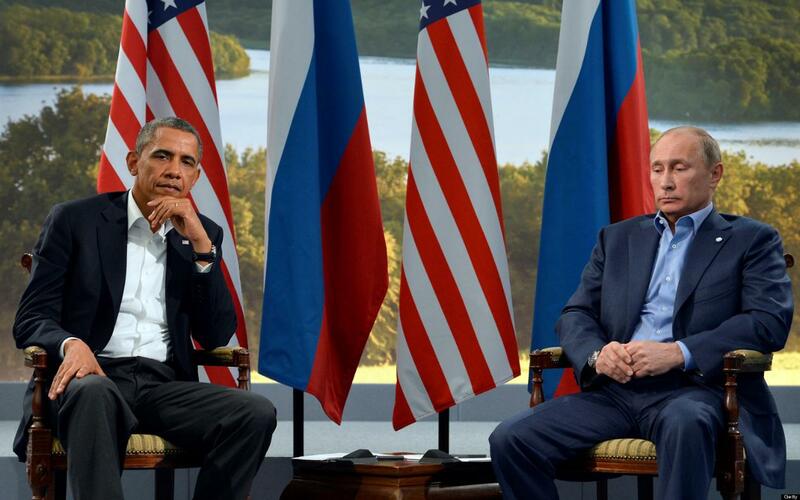 This post was published at Zero Hedge on 09/01/2014. This is how an American business executive described living through Mexico’s devaluation of the peso exactly 38 years ago on September 1, 1976. Looking back, it was so obvious. 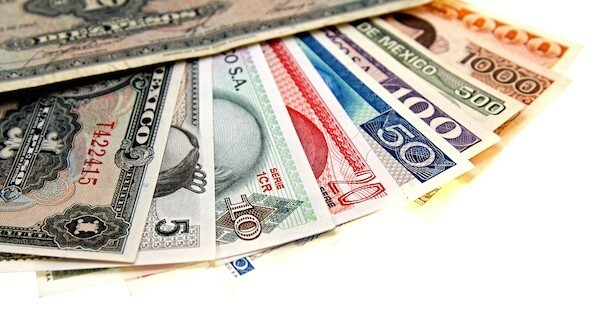 Mexico had a mounting debt, destructive policies, and a woefully unsustainable fixed exchange rate with the US dollar. All the writing was on the wall. But most people ignored the warning signs and kept their money in pesos. Mexican President Luis Echevarria even went out on the radio to reassure people that the currency was safe. Finally, under intense fiscal pressure, the government reached its breaking point. And on August 31, 1976, they made the decision to devalue the peso. 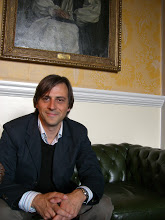 This post was published at Sovereign Man on September 1, 2014. The S&P, the Dow, US Treasury Bonds, CURRENCIES (WHAT THE $%^&! ), Petroleum, Metals, Agricultural Products, everything. The Chicago Mercantile Exchange and CFTC have openly confirmed that CENTRAL BANKS are in the markets by posting the REDUCED FEE STRUCTURE for CENTRAL BANKS that trade the futures and options markets. That link goes to the CFTC. The Commodity. Futures. Trading. Commission. As in the Federal Government of the Iniquitous Gutter Kleptarchy, your tax dollars at work, ‘Merica. The CME has a special incentive program for Central Banks to trade. Isn’t that nice of Terry Duffy and the boys to give the Central Banks a break on fees? Aw. Here is the write up at ZeroHedge, sourced from, yet again, Nanex. There is no acid-trip rabbit hole deep enough to match the depths of insanity that have now been plumbed. Central Bank: an institution that manages a state’s currency, money supply, and interest rates. Central banks also usually oversee the commercial banking system of their respective countries. In contrast to a commercial bank, a central bank possesses a monopoly on increasing the amount of money in the nation, and usually also prints the national currency, which usually serves as the nation’s legal tender. Sooooo do you think that it is a tiny bit problematic for entities that PRINT MONEY to trade equity, currency and commodity markets? This post was published at Barnhardt on August 30, 2014. All of the economic signals confirm that growth in the eurozone economy is going nowhere. The Eurozone manufacturing purchasing managers index plunged to a 13-month low of 50.7 in August., down from 53.8 in July. This was worse than the 50.8 expected by economists. Any reading above 50 signals growth, and the eurozone’s PMI is rapidly tumbling to that no-growth level. We already know that GDP growth in the Eurozone fell to 0.0% in Q2. However, the July and August data have suggests a failure to rebound in Q3. 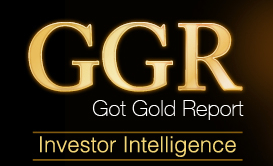 This post was published at GotGoldReport on September 01, 2014. Capitalism gets into deep trouble when the price of financial assets becomes completely disconnected from economic reality and common sense. What ensues is rampant speculation in which financial gamblers careen from one hot money play to the next, leaving the financial system distorted and unstable – a proverbial train wreck waiting to happen. That’s where we are now. And nowhere is this more evident than in the absurd run-up in the price of European sovereign debt since the Euro-crisis peaked in mid-2012. In that regard, perhaps Portugal is the poster-boy. It’s fiscal, financial and economic indicators are still deep in the soup, yet its government bond prices have soared in a triumphal arc skyward. Unfortunately, the recent crash landing of its largest conglomerate and financial group (Espirito Santo Group) is a stark remainder that its cartel-ridden, import-addicted, debt-besotted economy is not even close to being fixed. Notwithstanding the false claims of Brussels and Lisbon that it has successfully ‘graduated’ from its EC bailout, the truth is that the risk of default embedded in its sovereign debt has not been reduced by an iota. This post was published at David Stockmans Contra Corner on September 1, 2014. You may have missed it. In fact, you probably did. While you were out enjoying your holiday, we saw more proof of how Cartel algos are set to manage and control price, regardless of the day or time. Just after 1:00 p.m. EDT on Monday, a very curious drop in the spot price of gold occurred. “Curious” in that all global futures markets were closed, with the U. S. electronic trading closed until later today, opening at 6:00 p.m. New York time . But the futures markets being closed didn’t stop a trade from effecting the spot price of gold which, at 1:02 p.m., fell by nearly $5 in an instant. This “trade” was noticed by ZeroHedge and it immediately caught my attention. The damage, however, was minimal and the spot price almost immediately recovered. As I type, spot is down about $1 and up over $3 from the low. This post was published at TF Metals Report on September 1, 2014. The Cold War describes a state of political and military tension, after World War II, between powers in the Western Bloc (United States, Western Europe and Japan) and powers in the Eastern Bloc (Soviet Union and the Warsaw Pact countries). Historians have not fully agreed on the dates, but 1947 – 1991 is common. It was “cold” because there was no large-scale fighting directly between the two sides, although there were major regional wars in Korea, Vietnam and Afghanistan that the two sides supported. However, the danger of an actual nuclear war was always present. The Cuban Missile Crisis of 1962 was a direct and dangerous confrontation between the United States and the Soviet Union during the Cold War and was the moment when the two superpowers came closest to nuclear conflict. The Berlin Wall, that best symbolizes the Cold War, was erected in 1961 and destroyed in 1990. It was referred to, in the East, as the “Anti-Fascist Protection Rampart” and, in the West, as the “Wall of Shame”. I spent almost half of the Cold War in the East and the other half in the West, so I had the chance to observe it from both sides. On December 3, 1989, Mikhail Gorbachev and George H. W. Bush declared the Cold War over at the Malta Summit. A new era of openness and collaboration between the two blocs started and was confirmed by the G7 leaders’ invitation to Russia in 1998 to join the annual summits, becoming the G8. Subsequently, Russia was excluded from the forum by the other members in 2014 as a result of its involvement in the Crimea crisis in Ukraine, ending this 16 year- period of dtente and disarmament. This post was published at Gold Broker on Sep 1, 2014. A new calendar of peace holidays has just been published. And none too soon, if you’ve noticed the epidemic of military holidays around us. I can understand that Catholics have a saint for every day of the year. And I’m not shocked that various ancient religions have holidays for a high proportion of the year’s days. But what to make of the United States, which now has a militaryholiday for at least 66 separate days, including Memorial Day, Veterans Day, and lesser known days like the just passed Marine Corps Reserve Birthday? In the coming weeks we have V-J Day, 9/11 Remembrance Day / Patriot Day, the U. S. Air Force Birthday, National POW / MIA Recognition Day, and Gold Star Mother’s Day. There are, in addition, six week-long military holidays and three month-long ones. May, for example, is National Military Appreciation Month. This post was published at Washingtons Blog on September 1, 2014. The day that Banco Espirito Santo finally crashed and was liquidated nationalized under the weight of its countless criminal “inside the family” fund transfers, money losing loans, and off balance sheet activities, we pointed out to something amusing: the Goldman trail. Because not only was it revealed that in mid-July, two weeks before the Portuguese bank conglomerate failed, Goldman had invested several hundred million into the broken business, but that all through 2014, Goldman had done its best to drag the muppets down with it. In our view, BES is (1) optimally positioned to gain from Portugal’s banking market evolution and (2) likely to benefit from improving margins in Angola. With the stock trading at a 29% discount to peers’ 2015E P/TBV and with 28% upside to our 12m target price of 1.55, we upgrade BES to Buy. Resilience to asset quality deterioration determined banks’ ability to withstand the effects of the economic and financial crisis. Those effects, however, have their cause in macroeconomic imbalances that led Portugal to ask for financial assistance from the EU/IMF. Addressing those causes will determine the future shape of the Portuguese banking market and the relative positioning of the banks. In this context, we develop a theoretical (and severe) scenario to assess relative positioning in a deleveraging economy: under this scenario, we estimate that Portuguese banks would need to delever by a further 35 bn domestic loans (or 15%) by 2020 to partially reverse the imbalances that contributed to the crisis. This is a top-end assumption and depends heavily on the country’s future macroeconomic performance. In this negative scenario, we show that BES would be best positioned to gain from a ‘race to the bottom’. Our estimate is harsh, but we still believe that it is a good proxy for the underlying trends in the lending market. In this context, even under more benign scenarios, BES is best placed. Irish Manufacturing PMIs released by Markit and Investec today show very robust and accelerating growth in the sector in August. These are seasonally adjusted series, and given this is a generally slower month for activity, acceleration is more reflective of y/y trends than m/m. Nonetheless, the PMI hit 57.3 in August, up on already blistering 55.4 in July, marking the highest PMI reading since December 1999. This post was published at True Economics on September 1, 2014. Two years ago, we interviewed Kirk Sorensen about the potential for thorium to offer humanity a safe, cheap and abundant source of energy. He is an active advocate for developing liquid fluoride thorium reactor (LFTR) technology, the details of which were covered in our earlier podcast: A Detailed Exploration of Thorium’s Potential As An Energy Source. That interview concluded with Kirk’s observation that the West could have a fully-operational LFTR reactor up and running at commercial scale within a decade, but it won’t, because it is simply choosing not to prioritize exploring its potential. But that doesn’t mean other countries are ignoring thorium’s promise. Kirk returns this week to relay what has happened in the thorium space since our last conversation. The East, most notably China, is now fully-mobilized around getting its first reactor operational by as soon as 2020. If indeed thorium reactors are as successful as hoped, the US will find itself playing catch up against countries who suddenly hold a tremendous technology advantage. If and when the U. S. dollar bubble bursts, we will see prices rise not just because of what Bernanke (and now Yellen) have pumped in since 2008, but because of the rush of dollars flowing back to the U. S. that have accumulated from years of trade deficits. At that point, the Fed will have to decide: Does it wreck the U. S. financial sector and broader economy in order to save the dollar (comparable to what Volcker did in the late 1970s, only on a much grander scale)? Or will it go the way of several other central banks in history, and run the printing press until the game ends? Either way, it’s going to be ugly. 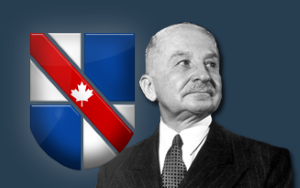 This post was published at Mises Canada on August 31st, 2014. Global Warming seems to be in the same category with gold in the hands of the promoters – bedtime stories for children. Seven years ago former US Vice-President Al Gore’s warned everyone that the Arctic ice would be gone by now. Obama even wanted a commission to see if we could build a machine to reverse what does not exist. Talk about a typical government job. Indeed, these people build bridges when there is not even a river or gully to cross. The British press seem to be more honest than American, especially after Snowden. In fact, The British Daily Mail is reporting that not only was this forecast of Al Gore dead WRONG, the ice cap has actuallyexpanded for a second year in row covering 1.7million square kilometres MORE than 2 years ago and it is also thicker! 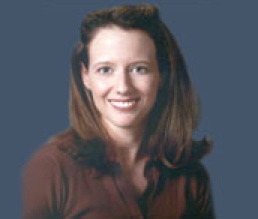 This post was published at Armstrong Economics on September 1, 2014. Gold and silver futures reversed earlier gains during midday trade in Europe today, amid growing tensions in Ukraine and downbeat data in the Eurozone. Meanwhile, copper futures slid after below-par Chinese factory gauges. Gold futures for December delivery on the Comex in New York traded at $1 288.2 per troy ounce, up 0.06%, at 13:04 GMT. Prices ranged from $1 285.8 to $1 290.9 per troy ounce. The precious metal added ~0.5% last week. Silver for September delivery stood for a 0.02% daily increase at $19.495 per troy ounce. Meanwhile, palladium futures reached the highest price in 13 years today, with the December contract climbing as high as $913.00 per troy ounce, amid fears that the Moscow-Kiev conflict will hurt Russian exports, which are 40% of the total. Tensions in embattled eastern Ukraine flared up last week, after the Russian military was seen directly helping the pro-Russian rebels with manpower and hardware, pushing the Ukrainian army on the defensive. This post was published at TruthinGold on September 1, 2014. “After many requests on my part the Congress passed a Fair Labor Standards Act, what we call the Wages and Hours Bill. That Act –applying to products in interstate commerce — ends child labor, sets a floor below wages, and a ceiling over hours of labor. Except perhaps for the Social Security Act, it is the most far-reaching, the most far-sighted program for the benefit of workers ever adopted here or in any other country. Without question it starts us toward a better standard of living and increases purchasing power to buy the products of farm and factory. Do not let any calamity-howling executive with an income of $1,000.00 a day, who has been turning his employees over to the Government relief rolls in order to preserve his company’s undistributed reserves, tell you — using his stockholders’ money to pay the postage for his personal opinions — tell you that a wage of $11.00 a week is going to have a disastrous effect on all American industry. Some of my opponents and some of my associates have considered that I have a mistakenly sentimental judgment as to the tenacity of purpose and the general level of intelligence of the American people. This post was published at Jesses Crossroads Cafe on 01 SEPTEMBER 2014. Modern achievements, especially in medicine and technology (fueled by cheap energy), have made the human experience longer and easier. Yet, at the base of it all lays the irrational man, still flinging immorality from the cages of his ongoing existential dilemma. Despite the existence of natural governors, humans are still prone to abuse of power for the sake of power alone. Unsound money and finance are not immune. They are fuel for the fire. They play an evermore powerful role in the rationalization of this age-old abuse. These four areas are in a constant state of fluctuating overlap. We can separate them just enough to observe the interactions. I’m lumping energy in with what I see as the ‘raw economy” experienced by most people. Finance is enormous. Way beyond anything the world has ever seen. Finance is sector of the economy. But it is so big that it wields influence as if it were a separate entity. Politics will always be around. It could be worse. In a real crisis, a political vacuum can lead to much worse than we see. More extremes. For now, the political system and finance are about as enmeshed as they could be. Finance is more influential. That system runs the show. This post was published at Silver-Coin-Investor on Aug 31, 2014.